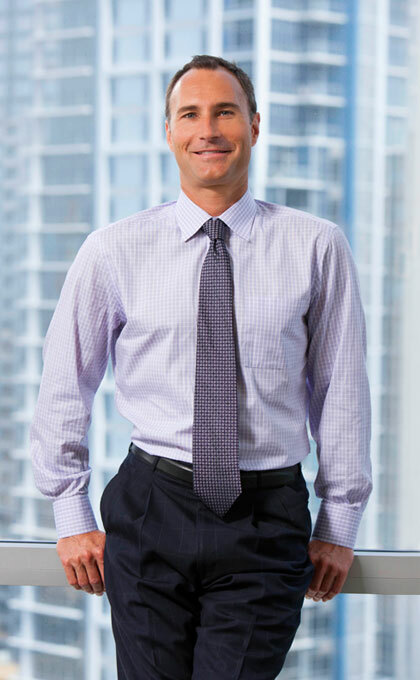 As former managing partner of Sullivan Hill and a member of the Executive Committee, Christopher V. Hawkins practices in the Insolvency and Commercial Bankruptcy, Business Transactions, and Commercial and Business Litigation practice groups. Within these practice areas, he represents a variety of corporate debtors, bankruptcy trustees, receivers, banks, trade creditors, asset purchasers and other parties in interest in all aspects of commercial insolvency, including bankruptcies, receiverships, and assignments for the benefit of creditors. He also represents clients with non-insolvency financial matters in both the transaction and litigation contexts. Mr. Hawkins is the president of the California Bankruptcy Forum and previously served as vice president and on the board of directors. He is past president of the San Diego Bankruptcy Forum and the San Diego Receivers Forum. Mr. Hawkins is a frequently published author and speaker on topics related to bankruptcy, receivership, assignment for the benefit of creditors and other insolvency matters. Mr. Hawkins was selected by his peers for inclusion in the 24th Edition and 25th Edition of The Best Lawyers in America® in the fields of Bankruptcy and Creditor Debtor Rights/Insolvency and Reorganization Law. He was also named to the San Diego Daily Transcript’s 2013 Top Attorneys Nominees for Corporate Transactional. “In an Economic Downturn, It Pays to Be in the Golden State,” Los Angeles Daily Journal, November 5, 2008: 7. “Pre-Petition Security Interests and Post-Petition Advances – Beware All Ye Who Enter,” California Bankruptcy Journal, Volume 28, Number 3 (2006). “Calculation of Holdover Rent in a Claim for Commercial Lease Rejection Damages,” The State Bar of California’s Business Law News, Volume 2 (2005). “The Rooker-Feldman Doctrine and Preclusion in a Nondischargability Proceeding – Be Careful Where You Draw the Lines,” California Bankruptcy Journal, Volume 28, Number 1 (2005). Currently representing a large group of wildfire victims in the Chapter 11 reorganization of Pacific Gas & Electric. Currently representing a b-2-b jewelry company in an out-of-court workout with its senior secured lender. Represented the Assignee of a franchised organic snack food vending machine company in its liquidation through an assignment for the benefit of its creditors. Represented the Creditors’ Committee in the Chapter 11 reorganization cases of the Southern California franchises of Party City, which cases resulted in the company’s successful emergence from bankruptcy under a confirmed plan. Represented a satellite communication company in connection with its efforts to “bankruptcy proof” various transactions involving dark fiber being used to build a nationwide network. Represented the court-appointed Special Master in litigation between the owners of a large vertically integrated seed to sale cannabis operation. Represented a home healthcare and hospice nonprofit in connection with its insolvency. Represented a social media content arbitrage company in connection with the Chapter 7 bankruptcy of its principal. Represented the San Diego Metro Transportation Service in the Chapter 11 reorganization of the “Desert Freight Line” Railroad. Represented a State Court Receiver operating Burger King franchises in litigation. Represented the Creditors Committee in the Chapter 11 reorganization of a medical device manufacturer. Represented a Federal Court Receiver in the liquidation of an electronic cigarette company. Represented a regional bank in numerous commercial collection and insolvency matters. Represented a national consumer financial services company in its Chapter 11 reorganization. Represented a commercial landlord in the Sports Authority Chapter 11. Represented the principal of a nutraceutical/supplement company in connection with the section 363 sale of the company. Represented a non-profit habitat preservation organization in connection with its acquisitions from various bankruptcy estates of large tracts of undeveloped land for conservation purposes. Represented a secured creditor in the Chapter 11 reorganization of a national fast food franchise. Represented a snack food company in its sale as a going concern through an assignment for the benefit of creditors. Represented a State Court Receiver in the receivership of a $50,000,000 commercial property in Northern California. Represented the post-confirmation trustee in the jointly-administered Chapter 11 bankruptcy cases of a group of national financial services companies. Represented a large national defense contractor in its Chapter 11 reorganization. Represented a Federal Court Receiver in a real estate Ponzi scheme receivership commenced by the Securities Exchange Commission. Represented the Creditors’ Committee in the Chapter 11 case of a water meter component manufacturer. Represented an automotive parts wholesaler in its sale as a going concern through an assignment for the benefit of creditors. Represented a national health insurance and services provider in connection with its administrative claim in the Chapter 11 case of a hospice facility. Represented the Chapter 7 trustee in the bankruptcy liquidation of a group of 14 time share companies, including several hundred million dollars of notes receivable collateral. Represented the principal of a real estate holding consortium in connection with an out-of-court workout with the senior secured lender. Represented a State Court Receiver in connection with the liquidation of a group of health care provider entities. Represented the purchaser of a large portfolio of distressed debt in the liquidation of the real estate acquired thereunder. Represented the debtor-in-possession in a Chapter 11 reorganization of a professional services company. Represented a strategic buyer in connection with its purchase of a tile company through a section 363 sale. Represented a government contracting construction company in its liquidation through a Chapter 7 bankruptcy. Represented a State Court Receiver in litigation over debt secured by real property, and the related Chapter 11 reorganization cases of several hundred restaurant franchises. Represented the bankruptcy examiner in the Chapter 11 reorganization of a San Diego entertainment business. Represented the Chapter 7 trustee in the winding up and liquidation of a large Nevada tax advice and audit advisory services company that was the target of legal attacks by the Internal Revenue Service and the Federal Trade Commission, which resulted in significant criminal and financial liability imposed upon the corporation’s principals and control-persons. Represented the Chapter 11 trustee in a cross-border bankruptcy case involving the liquidation of a portfolio of property, including interests in the Mexico real estate holdings of a failed American development company. Represented the founder and principal of a surgical device design company in the company’s Chapter 11 bankruptcy case. Represented a priority creditor in the preservation and collection of a nondischargeable judgment through a structured settlement. Mr. Hawkins is a member of the San Diego Bankruptcy Forum, the San Diego Receiver’s Forum, the San Diego County Bar Association, the Business Law Section of the California Lawyers Association, the American Bankruptcy Institute, the Nature Conservancy, and the Surfrider Foundation. He currently serves as president of the California Bankruptcy Forum and previously served as vice president. He served as education co-chair of the California Bankruptcy Forum in 2012 and 2017, and sponsorship co-chair in 2013. He also served as education co-chair for the 2013 Loyola Receiver’s Symposium.